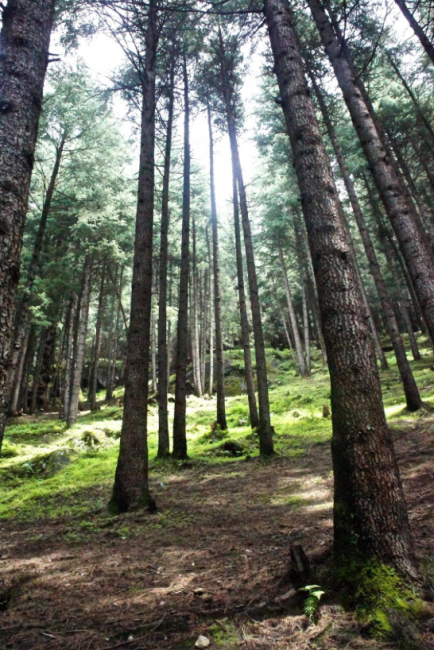 If you feel like beating the crowds and the busy streets, Dharamkot is the perfect place to be! Located 2109m above sea level, you will find this enchanting little village nestled in the lush green Kangra Valley of Himachal Pradesh. 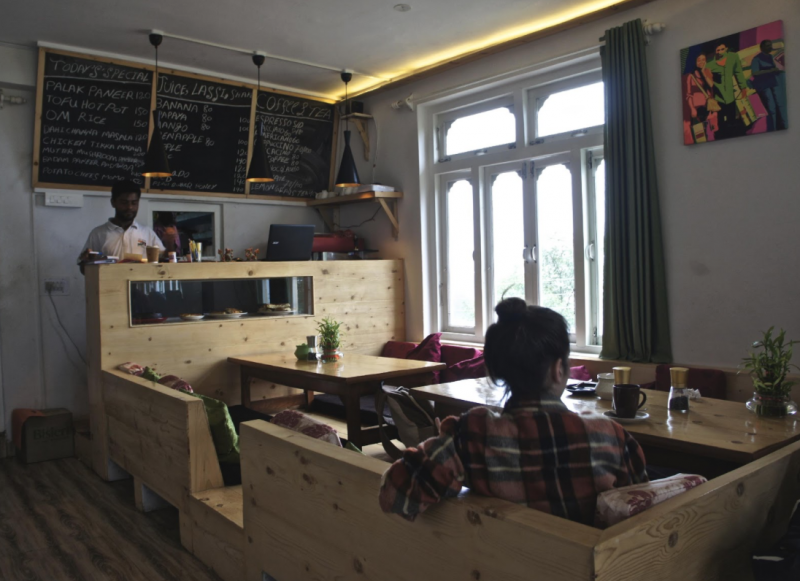 Whether you feel like some time off, visiting cities and temples, taking cooking courses, or going trekking in the surrounding mountains, Dharamkot has got it all. Only 11 kms away from Dharamshala and even closer to McLeodganj, the little village is situated in the high hills just above the Bhagsu village. 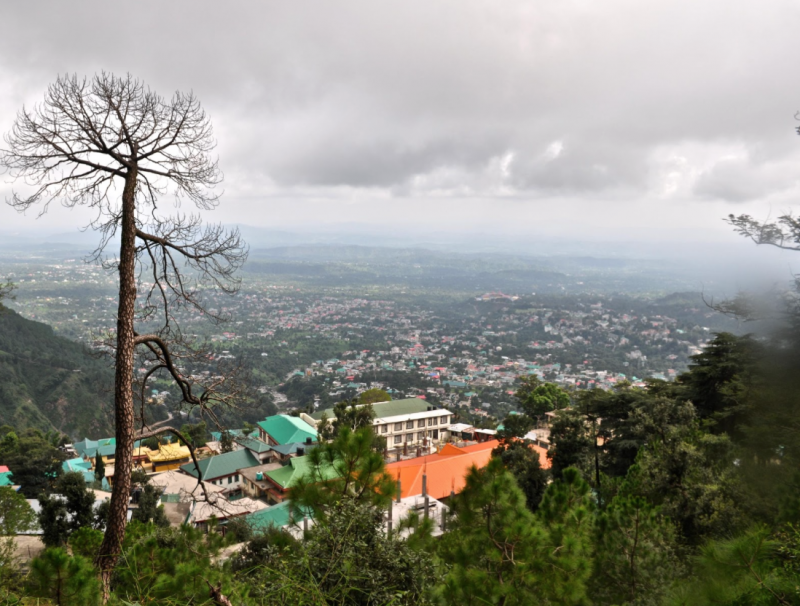 The great thing about Dharamkot is that you get a lot variety and choice depending on how you want to spend your time and what you are looking for. If you want to simply relax, enjoy and let go of everything for a couple of days, you couldn’t have landed better. Dharamkot is a very small village, which makes it remarkably peaceful, easy going and mellow. You will find a different unique restaurants and and café’s that serve amazing food, and the staff are all very welcoming and friendly. If you want to socialize, the restaurants are the best places to hang out! If you rather some alone time, take a walk in the magical cloud-filled nearby hills and forest. For those who follow a spiritual path and are on inner journey, there is a Vipassana center which offers 10-day silent meditation courses. However, one must apply in advance to participate in the retreat. If you’re looking for some city life and exploration, you can walk from Dharamkot till the small village of Bhagsu, a busy little place teeming with tourists and shops. 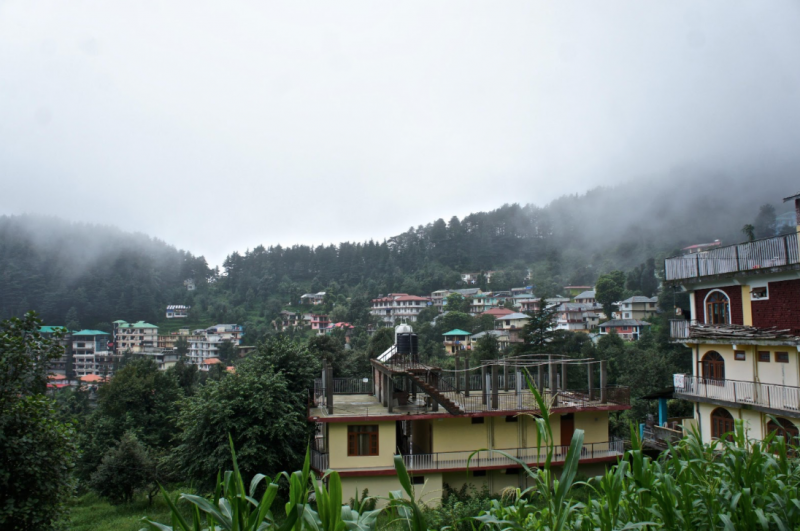 From there, walk down till McLeodganj, which is a bigger town located lower down in the hills. The walk is very scenic and relaxed as you wind your way through the forest and down into the town, with great views on Dharamshala at times. From McLeodganj one can take an auto rickshaw to go down to the main city of Dharamsala, a great place to visit as it is home to monasteries, forts and a museum as well as other nearby places to visit such as the Dal Lake. Feel like being productive and learning new things? The locals at Dharamkot and Bhagsu village offer a wide variety of several day courses such as singing, painting, cooking, meditating, massage, yoga, reiki, and the list goes on. This is a great way of experiencing the local culture and getting involved in something which will make your travel experience a more intense and fulfilling one. Rather go for some exploration and adventure? 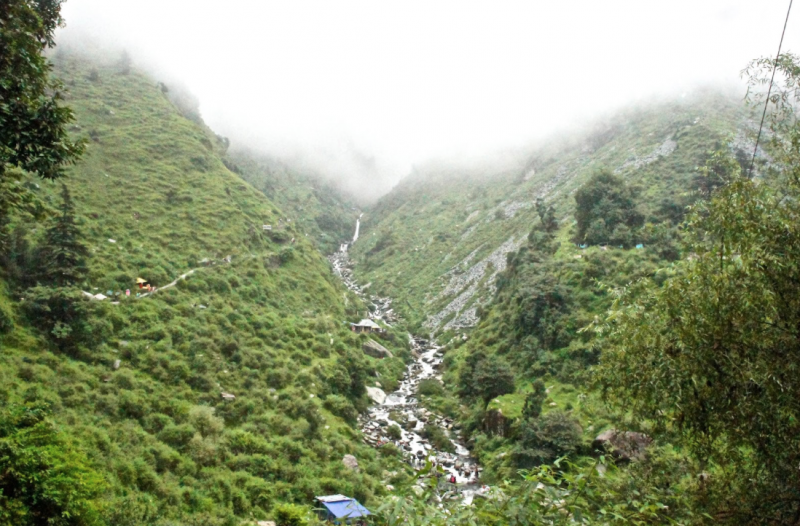 From Dharamkot one can go on a 4- 5-hour trek to the village of Triund, which is situated 11kms higher up in the hills. The village of Naadi is another option, only 3kms away. Don’t forget to carry at least 2 liters water and a raincoat with you in case of rain, as the weather is pretty unstable. The Bhagsu village is also home to a beautiful waterfall which has become a popular attraction for tourists, just ask around in town and people will tell you where to find it. Probably one of the quieter touristic villages in Himachal, Dharamkot is the ideal place to go for a quick escape into nature at its best, as well as village life and culture. Since Dharamkot is nestled high up in the mountains, it tends to get quite cold and snowy during the winter months. The best time to visit is from February to April, the hotter months, and August to October which is the rainy season. I recommend you to bring along a set of warm clothes, a raincoat and a pair of sturdy shoes, as it can get pretty cold at night and muddy when it rains. A headlamp is always useful in such places, don’t forget it!